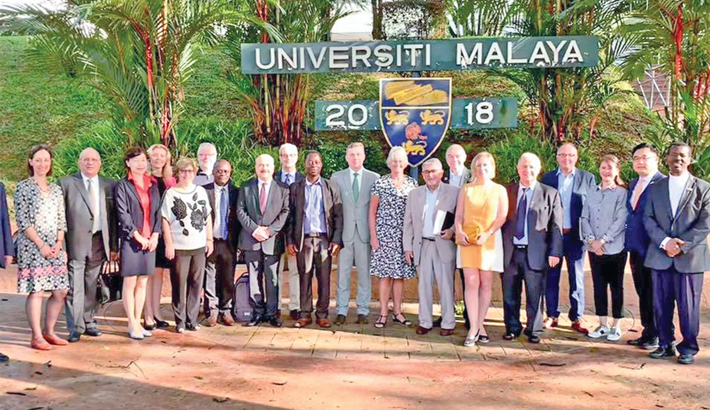 A four-day international conference on higher education partnerships for societal impact was held at the University of Malaya in Malaysia recently. Vice Chancellor of the American International University-Bangladesh (AIUB) Dr Carmen Z Lamagna, also a member of the Administrative Board of the International Association of Universities (IAU), chaired the event. About 300 topnotch university heads and officials, researchers and practitioners from different parts of the world participated in the programme where they shared their insights and experiences on the theme.